Andrew Bayer in Montreal or Quebec City? Inform me about the next events for Andrew Bayer. Enroll yourself to our priority waiting list for Andrew Bayer to be alerted when new tickets are available. Filling this form doesn't engage you to any purchase. The Dj Andre Bayer is coming to town on January 23rd, 2016. 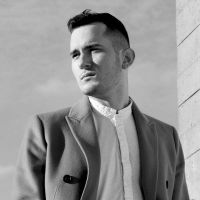 Techno lovers will enjoy this evening because Andrew Bayer won't be alone on stage! You've heard right, the latest will be with Ilan Bluestone, Jason Ross and also GRUM. Don't miss that awesome night present at the Society for Arts & Technology.